These seven fail proof secrets will help you get the life you want in the coming year. Goal setting with understanding and purpose is the key. This time of year can be overwhelming. It seems that the end of the year speeds up, like a runaway train. While in January there is new hope, fresh organization, and renewed goal setting, by the time we reach November and December we have switched into coping-mode. 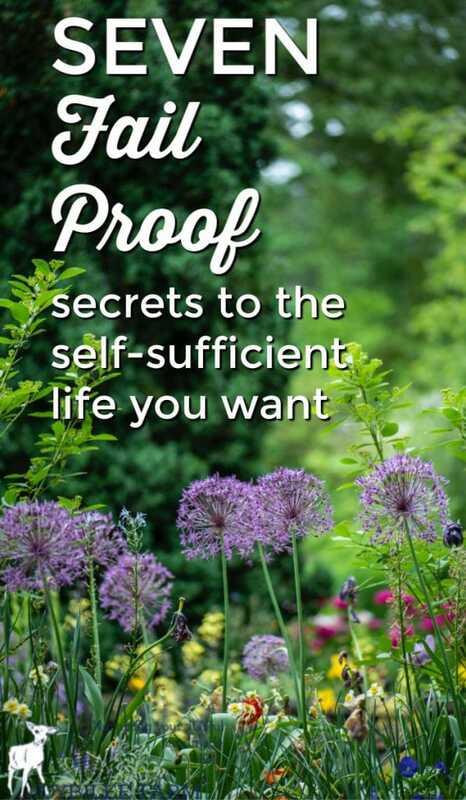 If you are like most people, those great goals you set last January to live more sustainably, learn self-sufficiency skills, live healthier, and get the toxins out of your house, faded away by March. And once the summer is in full swing and people start demanding more from you, your own aspirations for a simpler, handmade life get put on the back burner. Next year, you promise yourself, you’ll refocus on the projects that are important to you. Next year you’ll learn about herbs. Next year you’ll pick up sewing or knitting. Next year you’ll learn those handy skills that will let you live more simply and self-sufficiently. Next year you’ll live the creative lifestyle you wanted and grasp the satisfaction of making a frugal, organized, and simple home. Next year you’ll love yourself and your family enough to follow through. Now, before you start making those same New Year’s resolutions that you made to yourself at the beginning of last year, we need to have a heart to heart talk. The problem is 25% of people abandon their New Year’s resolutions after the first week. More than half forget their resolve by June. The average person makes the same New Year’s resolution 10 times without following through. Less than half of us actually attain the goals that we set for ourselves. I don’t want you to be among those statistics. Your goals and dreams are important. They are the spark that ignites your purpose. They are a part of the calling of God on you – the reason that you are here on this planet. They are the way you bring healing to the world. This is the moment that everything changes. I found a way to make sure that the goals I set in January actually get fulfilled. I’ve found a way to get off the runaway train and keep the promises that I make to myself. I found a way to keep the tyranny of the urgent from overwhelming my resolve to do the important things – to love myself and my family. Here are 7 lenses that help me meet my goals and bring healing to the world. These 5 viewpoints help me to give my goals focus and give me the confidence to keep going, even when things seem like they aren’t working out. For a goal to be worthy of your time, concentrated effort, and resolve you need to know why it’s important. PJ Maclure suggests not being satisfied with the first answer to the question, “Why is this important?” but to drill down to the 3rd or even 4th level. I want _____________ because _________________. This 4th reason touches on your core values. It will keep you going in your resolve to make the effort that you need to follow through on your goal. Don’t settle for the first reason that comes to mind. This is the superficial reason, the one that you expect to be the answer to your why. It’s only as you drill down to the 3rd or even 4th level of emotional meaning that you strike the core value that will motivate you to actually follow through and do it. My first why is “because I’ve always wanted to write a book.” This isn’t enough of a reason to keep me going when I write 3 chapters and have to rip them up and start over. My final reason taps into my core value and ties in everything that I care about into that single goal of finishing the book. Your goal, of course, and your reason will be different than mine. This is just an example of how the “Why-drill-down” works and why that’s of value. I want to learn to knit, is an unmeasurable goal. How will you know if you achieve it? Will learning to “cast on,” meet the goal? What about knitting a sweater cap or touque? What about designing a sweater from scratch and knitting it through to completion? Make your goal attainable and measurable and you’ll probably see it to completion. “I want to knit a hat by November 30th, 2019” is a better goal than “I want to learn to knit”. It’s measurable and it has an end date, so when you achieve it you will know. Giving yourself an end date also helps you align your daily tasks and priorities with your goals. Knitting a hat can be broken down into “learning to cast on,” “knitting the ribbing,” “knitting the body,” and “decreasing for the end.” Taking a large goal and breaking it down into achievable parts can make your goal attainable. Just like a book is broken down into chapters that make it both easier to read and easier to write, each of your big goals needs to be broken down into more manageable steps so that they don’t overwhelm you and stop you from even beginning. When I was teaching my kids to ski we always asked them how many times they fell down in an afternoon on the mountain. If they said, none, we told them they didn’t learn anything. You only learn when you fall down. In the same way, resilience grows as we embrace each failure as a learning experience. Even devastating failures can become learning experiences to help us reach our goals if we allow them. Only God never fails. In writing my herbal remedy book I got stuck after 130 pages. It wasn’t going the way I wanted it to. It didn’t feel true to my goals. It felt like I was writing someone else’s book. 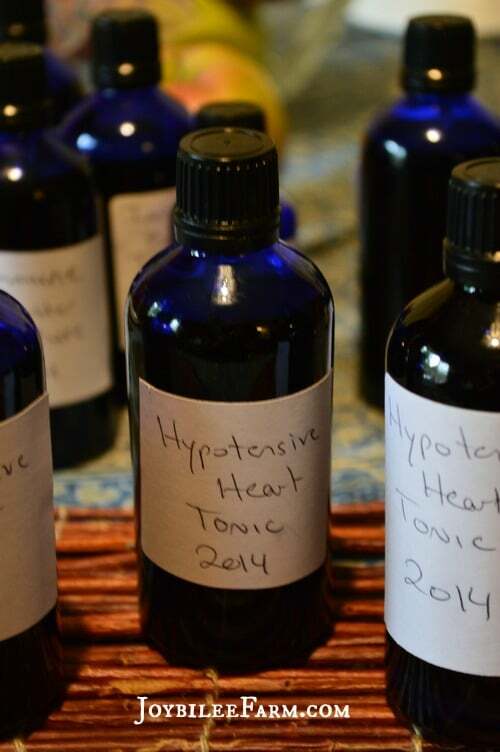 I put it on the shelf from August till November doing more research, tending my garden herbs, making tinctures, salves, and first aid kits. Then I had my epiphany and the book came back into focus. In a flash, I realized the missing element and I was back on track. Those months of seeming inactivity on the book weren’t a failure, they were the time my mind needed to work out the details and make the book what I wanted it to be. I still have to follow through on my goal but I’m back on track. Use failure as the catalyst to make your goal what you want it to be. Sometimes the details can be paralyzing. Don’t wait until you have all your ducks in a row before you start. You’ll never start. Just do the first thing. When I decided it was time to write my book I signed up for a course – How to Write a Fabulous EBook and got help to break the steps of writing a book down into manageable portions. Since I hadn’t tackled such a big project before I wanted to get help from someone who had already done it a few times and could guide me through the pitfalls. Angela England became my book writing mentor. Sometimes when I want to master a goal I buy a book and let the book mentor me. The problem with books, though, is that you have to have time to read them. I have a whole library of books on herbalism that I reference when I need information. 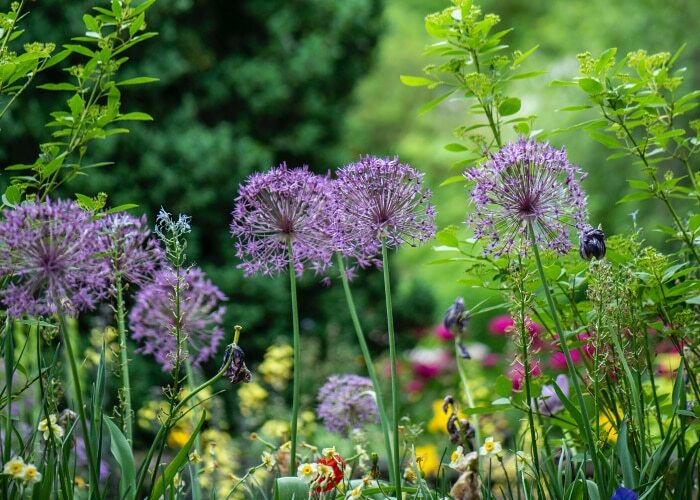 However, it is the Intermediate Herbal Course from the Herbal Academy of New England that mentored me through the steps I needed to gain confidence in my herbal journey. It was through the HANES course that I learned about some traditional herbs that I can’t grow on my homestead. It was through the HANES course that I met respected herbalists and understood some of the different perspectives in the Herbal community. Getting a mentor helps keep me on track with my personal goals right through from January to December. Having a mentor takes the guesswork out of planning and gives me a road map to follow. I don’t have to stand staring at a bookshelf at the local library wondering which book holds the key I need for the next gate I need to walk through on my journey. A mentor has already walked the journey and is ready to hold the gate open for me. 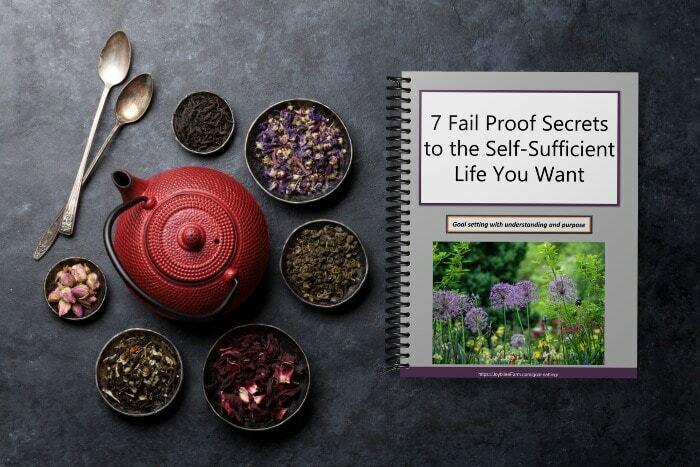 Once you’ve taken your goal of a more self-sufficient, sustainable, and handmade life out of the box and had a good look at it through these 7 lenses, you’ll end the cycle of failed resolutions and be on your way to that confident, hopeful, healthy, DIY handmade life that you’ve always wanted. Let me guide you through the next steps in the hope-filled, handmade life you want. Download a workbook that will help you find your why and we can work together to ensure that this year is your best year.